A few Sundays ago my church, Community House of Prayer, visited Chosen Generation both of Newark, NJ. We had such a wonderful time in the Lord. Everyone was so welcoming and loving toward us that we felt right at home. When we arrived and walked into the sanctuary, we were greeted with smiles and gentle head nods acknowledging our presence. The pastor, along with his lovely wife, and another sister from Chosen Generation were leading praise and worship. They sang about 6 or 8 songs. All the songs they sang, except for maybe two songs, were songs that we at Community House of Pray sang during our praise and worship. Their arrangements were different than ours, but we were able to follow along and get into the spirit of praise. Here’s the thing, none of us from Community House of Prayer, put on the stink face because they were singing “our songs.” Not one person became discouraged because their musicians had it together. Not one of us “hated” on them because they sounded amazing. We didn’t compare their praise and worship team with our praise and worship team. We just sang along because it wasn’t about us or them, it was about glorifying our Lord and Savior Jesus Christ. Since we didn’t fall into the comparison trap we made new friends that were strangers a few hours before. The comparison trap is a device of the Satan. He uses it to bring about division and discouragement. Don’t fall for it. 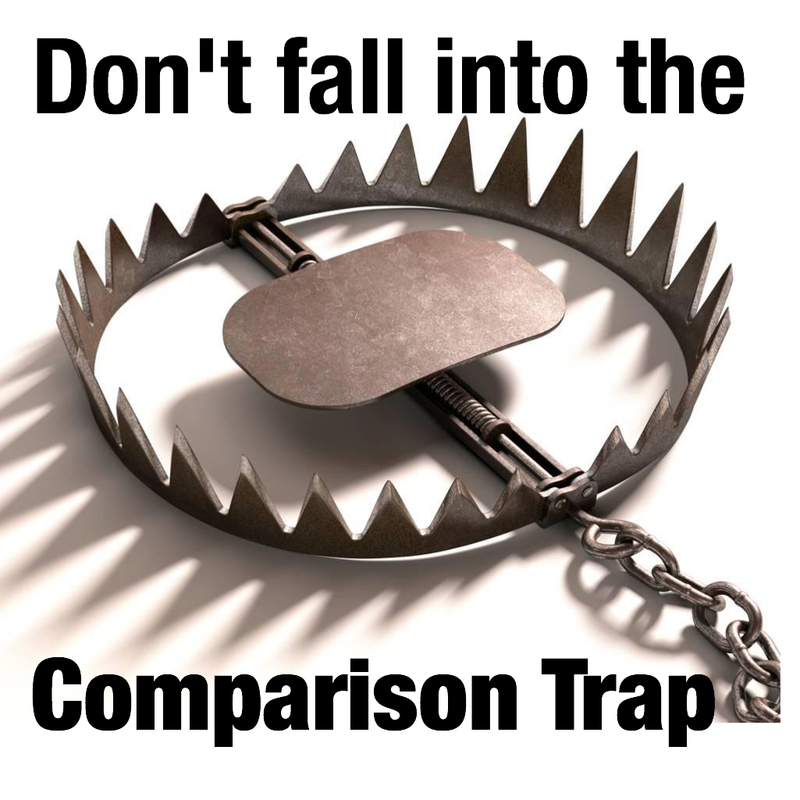 The comparison trap can become blinders, blocking out friendships, learning opportunities, and progress. There will always be someone who can do something better than you, who looks better than you, who’s further in life than you–there’s no need to compare yourself to them because you don’t know what it took to get them there. As the cliched saying goes what’s for them is for them and what God has for you is for you. Keep your focus on your purpose and everything else will fall into place. What If The Flint Water Crisis Never Happened?